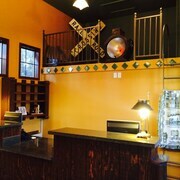 Situated in Grass Valley, this hotel is within a 5-minute walk of Greater Grass Valley Chamber of Commerce and Visitors Center and Center For The Arts. Nevada County Fairgrounds and Empire Mine State Historic Park are also within 2 mi (3 km). 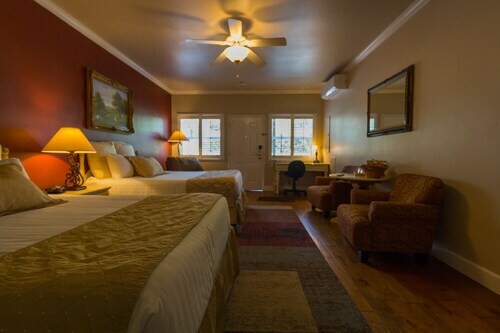 Situated in Grass Valley, this hotel is within a 10-minute walk of Greater Grass Valley Chamber of Commerce and Visitors Center and Center For The Arts. Grass Valley Museum and Northstar Mine Powerhouse & Pelton Wheel Museum are also within 1 mi (2 km). 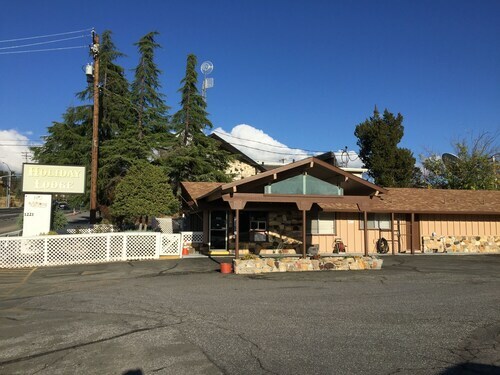 Located in the heart of Grass Valley, this motel is within 2 mi (3 km) of Greater Grass Valley Chamber of Commerce and Visitors Center, Center For The Arts, and Grass Valley Museum. Northstar Mine Powerhouse & Pelton Wheel Museum and Empire Mine State Historic Park are also within 3 mi (5 km). Situated in Nevada City, this hotel is within a 15-minute walk of Nevada City Chamber of Commerce, Historic Firehouse No. 1 Museum, and Off Broadstreet Theatre. Nevada Theatre and Nevada City Firehouse No. 2 are also within 15 minutes. 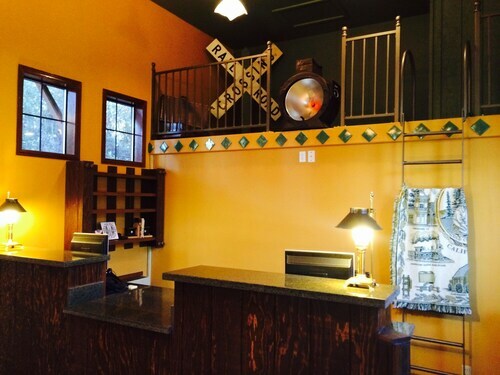 Situated in a state park, this hotel is within 3 mi (5 km) of Ol' Republic Brewery, Nevada County Narrow Gauge Railroad Museum, and Greater Grass Valley Chamber of Commerce and Visitors Center. Center For The Arts and Off Broadstreet Theatre are also within 3 mi (5 km). Open and friendly service at desk. No poor comments. Relatively close to downtown NC. Hotel staff exceptionally helpful and welcoming. Cabins are a stellar deal and def offer more privacy. Great place to stay. Clean, comfortable rooms and very helpful staff. Would definitely stay here again. Was more of a motel than hotel. No elevator. Very nice free breakfast. First the good - hotel has nice location, close walking distance to old downtown shops and restaurants. Nice breakfast and hotel is comfortable and clean, no complaints there. Decent beds and we had a Keurig coffee machine, a microwave and mini fridge, which was nice. But the downside is it's overpriced for what you get ($224 for what they called a suite). Not really a suite just one bigger room with a sofa bed small desk and two chairs. Also it was very hot outside so we needed to run the ac and it's was extremely noisy. But there aren't many alternatives in Grass Valley and this was a decent if a bit pricey hotel. Also there were renovations going on inside and out not disclosed when I reserved but we didn't notice any noise from that.